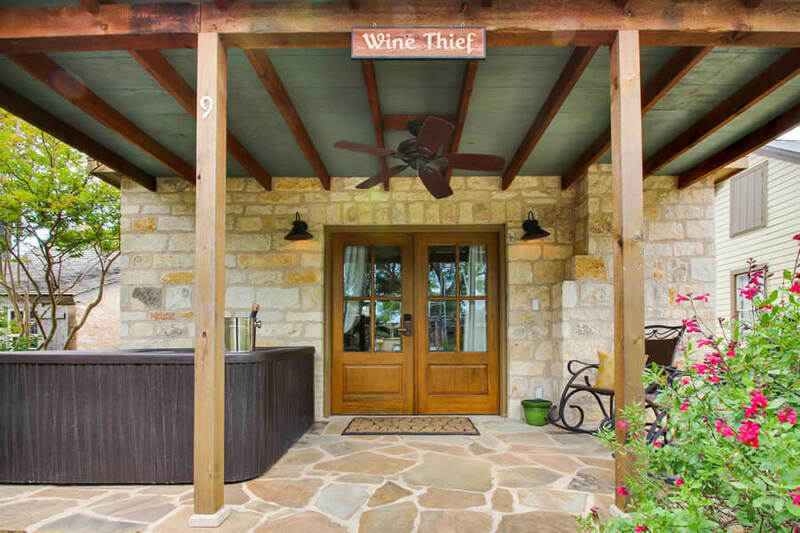 A wine thief is a tube used to extract a sample of wine from an oak barrel to taste or test it. 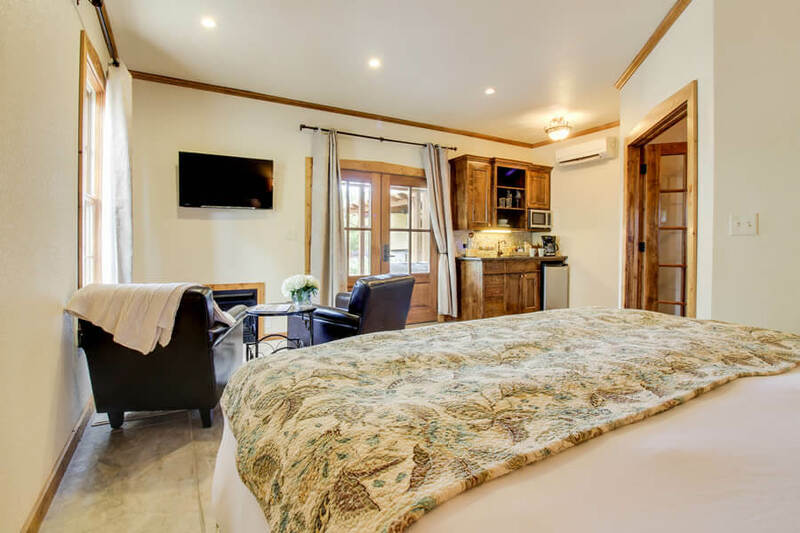 The Wine Thief suite at Stay Fredericksburg, our collection of luxury B&Bs, insinuates the rustic feel of a renowned French winery. 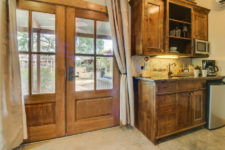 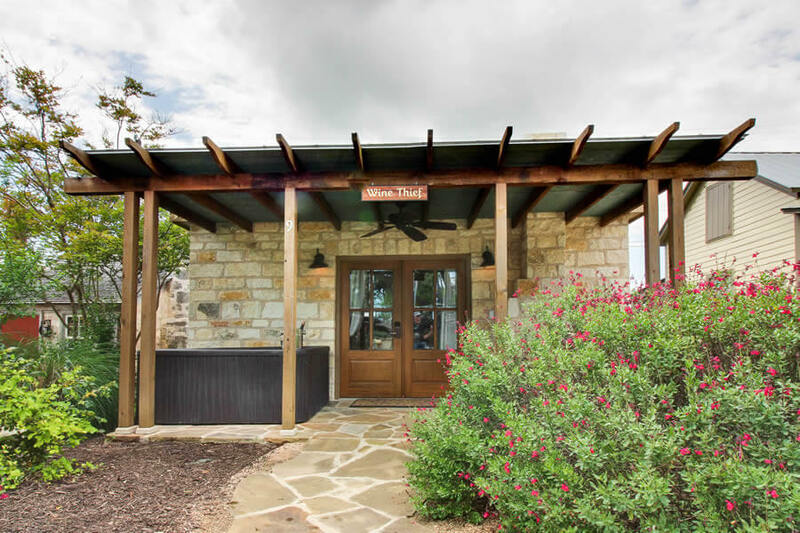 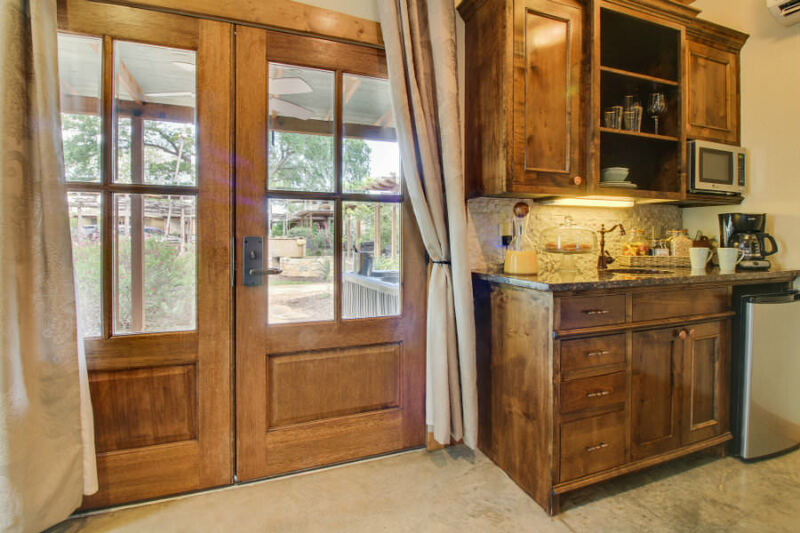 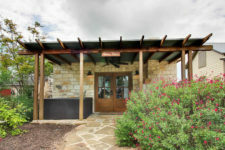 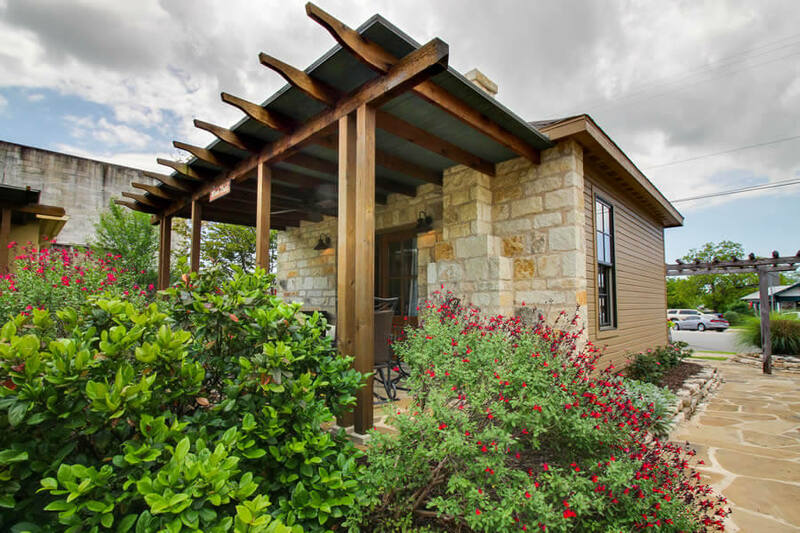 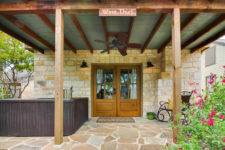 The rustic wood finishes and beautiful stone masonry will make you feel like you’re in your very own vineyard. 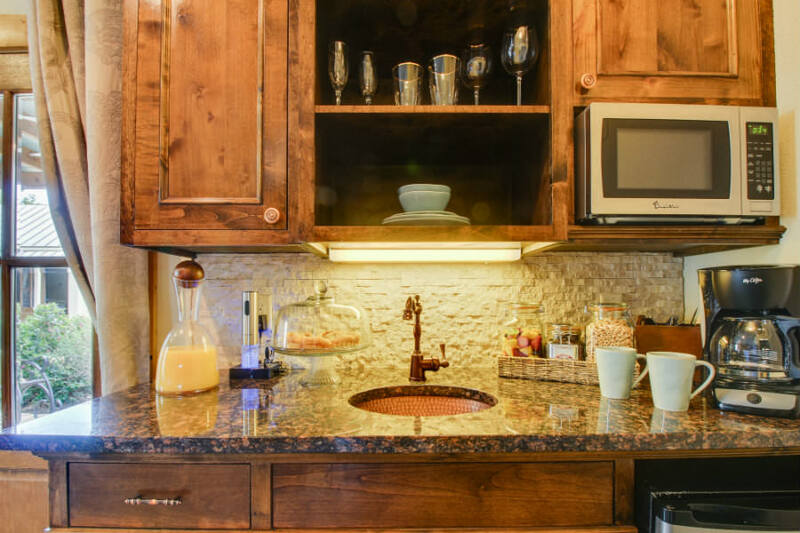 The Wine Thief is just another example of the craftsmanship that is put into every cottage at the Wine Country Cottages on Main. 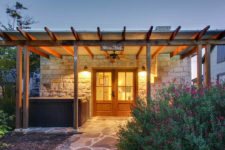 The aesthetic brilliance of this beautiful little cottage includes vaulted ceilings, fine detailing and custom masonry. 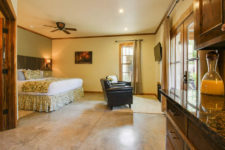 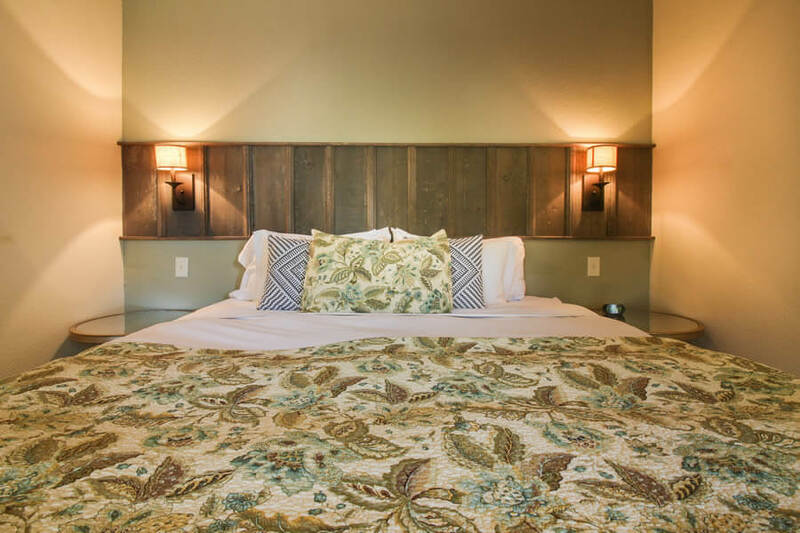 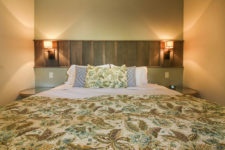 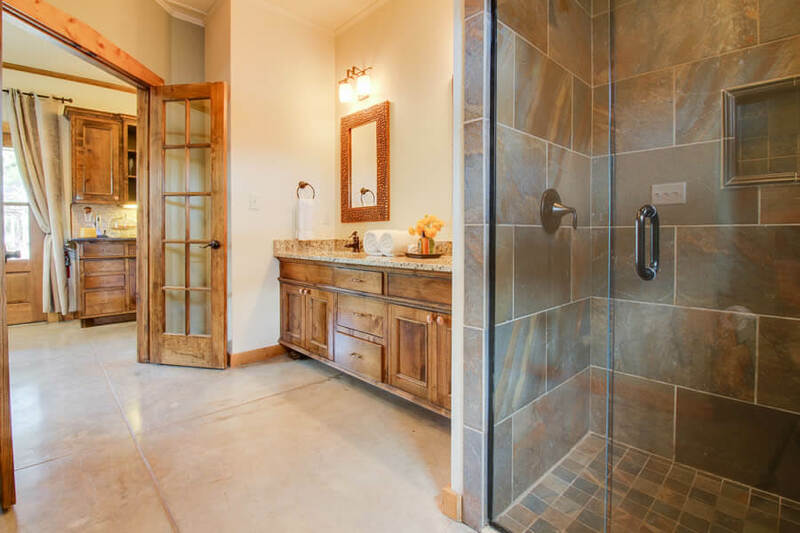 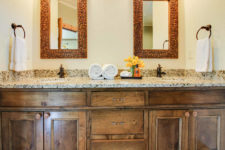 These charms are matched with deluxe modern amenities to create a stay like no other Fredericksburg bed and breakfast. 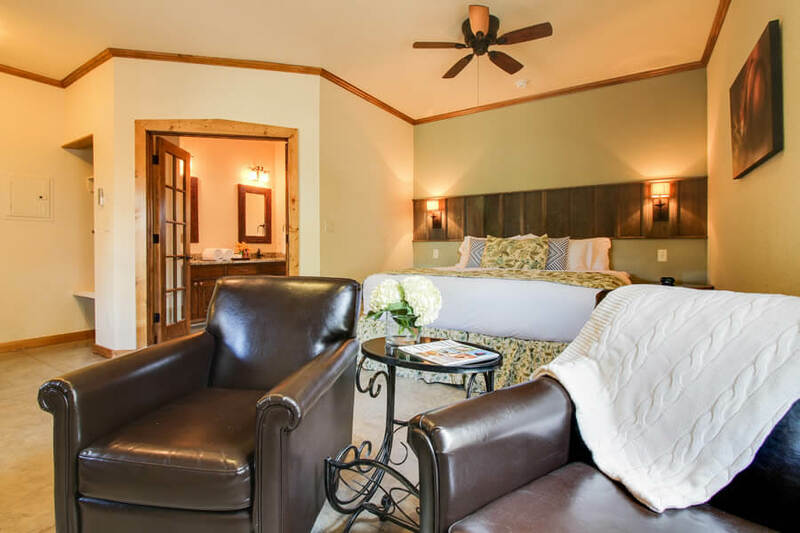 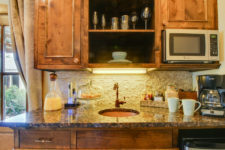 When you stay at the Wine Thief, you will be able to experience the best in luxury lodging. 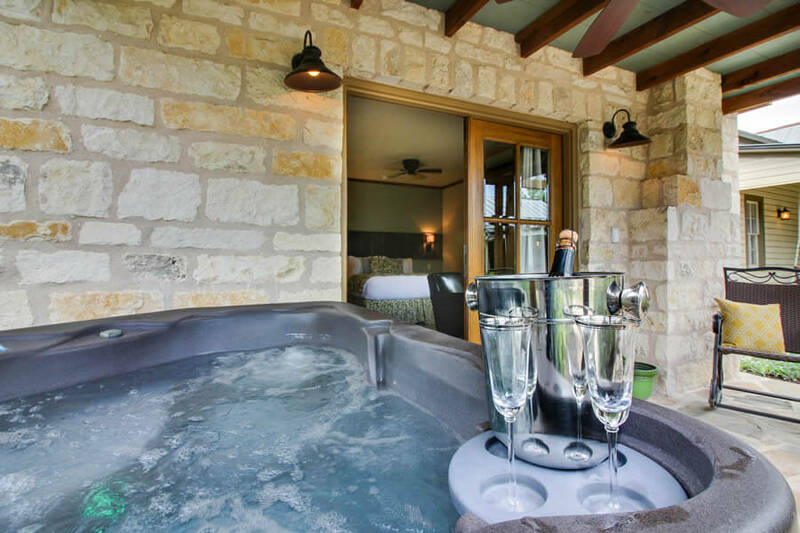 This includes a flat-screen television, personal outdoor hot tub, spa-like bathroom and deluxe wet bar, and so much more. 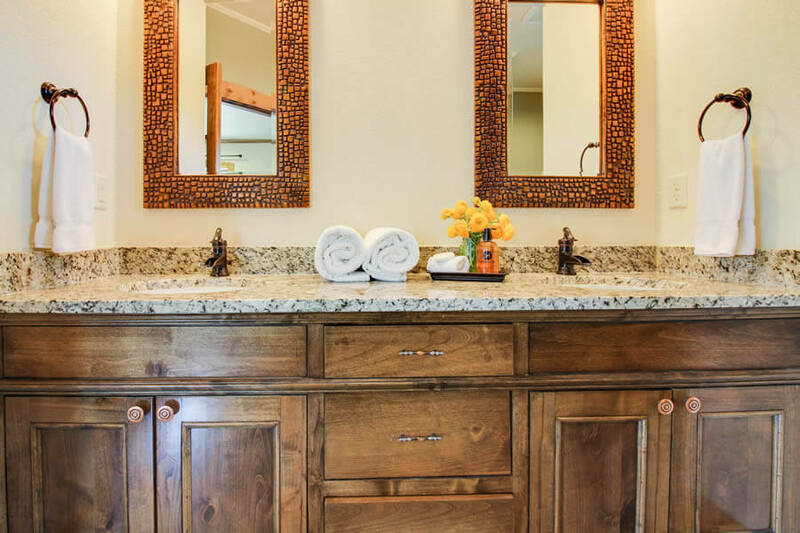 View our full list of modern amenities here. 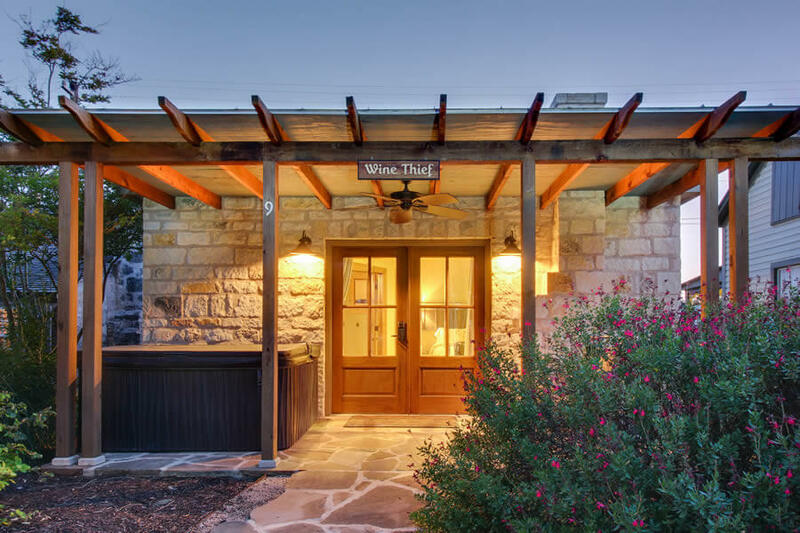 In addition to that, you’ll only be a short distance away from the shops, galleries, live music, and restaurants on Main Street in Fredericksburg. 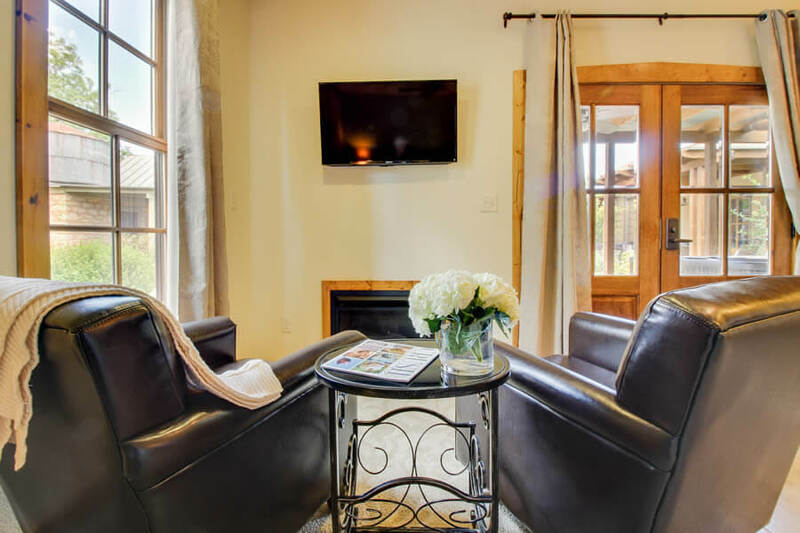 Whether you’re looking for a relaxing stay in a beautiful modern cabin or want a place close to downtown, the Wine Thief is a perfect B&B. Book your stay today!